(Bloomberg) -- The U.S.’s financial burden is growing despite a strong economy. 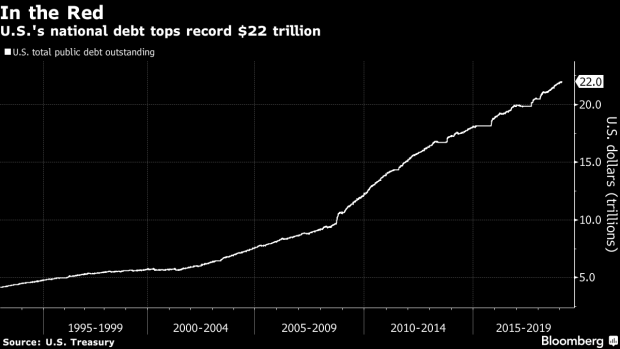 Total public debt climbed to more than $22 trillion as of Feb. 11, according to a Treasury Department report Tuesday. The country’s obligations are mounting as President Donald Trump debates members of Congress over funds for a wall along the southern border and fiscal experts including former Federal Reserve Chair Alan Greenspan warn about the dangers of rising budget deficits.